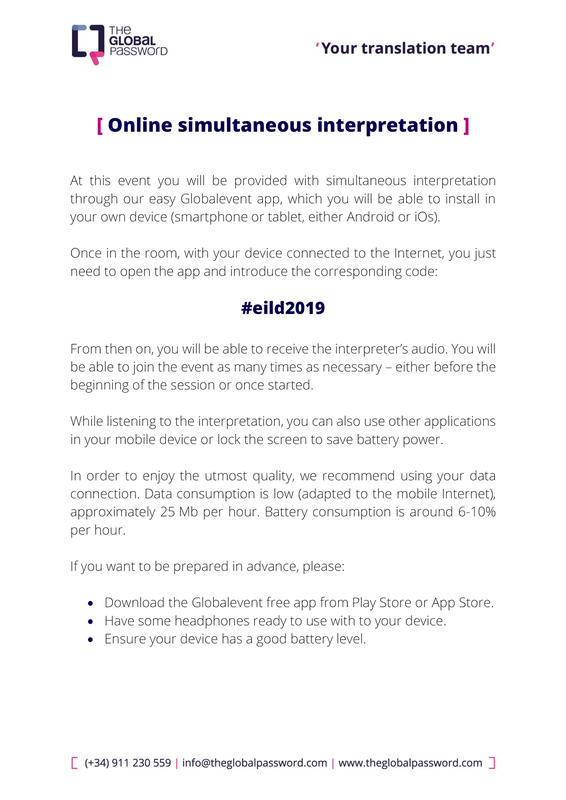 This activity was born, on one hand, of the need to improve the diffusion of the lighting projects of the Ibero-American community, and on the other hand of the analysis of the lack of tools of the professionals of the region to be able to better disseminate and communicate their projects in the press , prizes, contests, etc. Self-taught lighting designer, directs Limari Lighting design, an internationally awarded independent LLD studio based in Santiago de Chile. Professor of the PUC workshop since 2011. Pascal was invited to give lectures, master classes and workshops in Latin America and in Europe. Actively participates in the EILD committee since 2010. Mônica Lobo Graduated as an architect and urban planner, Monica has been working as an architectural lighting designer since 1997, when she founded LD Studio. Her work is featured in many local and international publications, and she has won several awards in the country and abroad. One of the founders of AsBAI, a professional member of IALD, and since 2017 with CLD certification. Ivone Magalhães Szabó Ivone is a lighting designer with training in Industrial Design from FAAP, in São Paulo. She is the owner of the architectural lighting office MS + M Arquitectos, founded in 2013.She has worked with lighting projects since 1989. Ivone is associated with the ASBAI (Brazilian Association of Lighting Architects) since 2007. 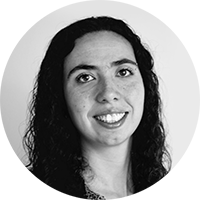 Débora Torii is an architect graduated from the Faculty of Architecture of the University of São Paulo and specialized in architectural lighting by the Swedish University KTH – Royal Institute of Technology. She works with lighting projects since 2008, having collaborated with large studios in San Pablo and Buenos Aires. “Transcend, transcribe, transfer, transform, transgress, compromise, transmit, transmute … using light, is the essence of lighting design”. If it is not easy to understand the qualities of a project already done, it is even more difficult and important to do it for a project in process. Customers, users, have expectations … In the professional transaction; the contract serves to define the content and conditions of relations between clients and designers, but not the sensitive and innovative dimension. This “emotional” contract is the Creative Brief. First, we will explore a simple and generic way to structure the emotional scope of a project to convince all the protagonists at the beginning of the process thanks to the Creative Brief. Then, we will pass this creative Brief through the filter of a Design Model Canvas, inspired by the Business Model Canvas used in Marketing, as a measure of pertinence. We invite the participants to propose one of their projects as a source of research. Lighting designer. Professional member of IALD and ACE. In 1995, Anne Bureau opened its design studio Lighting. In 2011 she created the lighting design office WONDERFULIGHT. Anne gives lectures at an international level. She has already been involved in different lighting design workshops around the world. He obtained a degree in Chemical Engineering and a master’s degree in Art and Creation Research from the Complutense University of Madrid, he has taught courses at the School of Architecture of Madrid, he is currently Deputy Director and Professor at the Higher School of Madrid Design. He has been founding and directing different design studios for over 35 years, mainly in Spain, the United States and Jordan. He has been invited as examiner of the Master of the School of Architecture of Madrid, and to give lectures in the Summer Courses of the Upv / Ehu in San Sebastian. His production in design has been exhibited, among others, in the spaces: Arco art fair Madrid, Madrid Fashion Week, Fuori Salone Furniture Fair Milan, Central Design Matadero Madrid. “In Architecture, there is a direct connection between the built environment and the natural environment through natural light, especially with the transition between day and night, in a Nordic context, this moment is called” Kura Skymning “, a moment of contemplation of that transition before lighting the light submerging the viewer in a dynamic, magical, romantic, nostalgic or inspiring reality. The workshop focuses on investigating the properties and qualities that Colonia del Sacramento sunsets offer to the viewer, taking advantage of the solar concealment with views of the Rio de la Plata within a fantastic architectural environment. The objective is to provide the participant with knowledge and generate practical experience in the subject of Natural Light, considering aspects of extreme importance: geographical location, orientation, time and specific moments that the spring equinox offers in these latitudes, taking advantage of the opportunity that the South hemisphere offers. The expected results are a “” collection “” of solutions that will be exposed to see different approaches and ideas that natural light and in specific “” Kura Skymning “”. Graduated architect of the Technological Institute and of Superior Studies of Monterrey with a master’s degree in lighting design from the Royal Institute of Technology. Stockholm, Sweden. Founder, 10 years ago, of SáaS Lighting Conception, a lighting office dedicated to design, promotion and lighting events. Fanatic of everything related to the Light and active promoter of their education, participates in different associations, events and collaborates with various lighting designers in the world for the benefit of the community. Rodrigo and Magali met 10 years ago in Mexico working together for a lighting design project. Arq. Rodrigo Muro; He has master’s degrees in Industrial Design, Lighting Design and higher education courses in Urban Planning and Interior Design, allows him to understand the different scales of design with a strong critical focus in the design process. Responsible for the course and examiner in the Master of Architecture and the Master of Architectural Lighting at KTH in Sweden, he is a guest teacher and critic as an expert in lighting design in other higher education institutions in Sweden, Austria and Denmark as well as being an international lecturer . He has extensive experience in workshops and facilities with students from the educational perspective. “In the world of lighting, there are constantly situations in which physical and visual approaches to light are mixed”. This workshop aims to deepen the visual approach, consolidating a vocabulary or lexicon consistent with light as a perceived phenomenon. In this workshop we will have the opportunity to: talk about light using words from the visual universe; put “hands in the light”; and look for expressions of light in the city. An activity with different moments, but with a strong conceptual unity. An interactive activity is proposed towards the construction of a visual vocabulary of light and the documentation of the elements of vocabulary in the city of Colonia, through a virtual album of the images. Architect, urban planner, Architectural lighting designer With 18 years of professional experience in architectural lighting design. Designs in Spain, Brazil and Sweden. She gained experience in teaching and as a tutor in the Light Laboratory of the Royal Institute of Technology – KTH – in Sweden, as coordinator of conferences and Master Thesis between 2009-11. In 2012, he started ConcepDUAL, practice of lighting design for architectural spaces. In parallel she developed educational activities for the Brazilian Association of Architects of Light (AsBAI), private universities and the European Institute of Design in Rio de Janeiro. She is a guest lecturer and lecturer in public and private architecture schools. He collaborated with the Spanish Lighting Design Association as an educational consultant. He participated in the Symposium of Light in Sweden (2015) as a scientific member of the committee. She is Cultural Director of AsBAI period 2018-19. Analogies: Alice in Wonderland – Narnia – the lion, the sorceress and the wardrobe. We are a moving point (space and body) in a parallel reality: the here and there, inside and outside, the inside and the outside, the three-dimensional space and the two-dimensional surface, volumes and planes, lines and points. Incidence of light and color. Textures, patterns and densities. Build / draw a possible and pasible synthesis picture communication of the management mechanism and share ideas of the creative process through an installation made in the Bastion del Carmen. Daytime and nightime exercise. Objective: Sensations from the movement (body) and the flow of time (perception). The aim is to establish an exercise in the communication of fundamental elements for the description of the effects of light on an object in space. Create a possible synthesis picture of forms of construction of a visual vocabulary necessary to communicate what the lighting designer intends with a certain design concept. We start with 5 key words that can be fitted during the process. The summary table will elaborate an exercise of construction and manipulation of a created scenario. 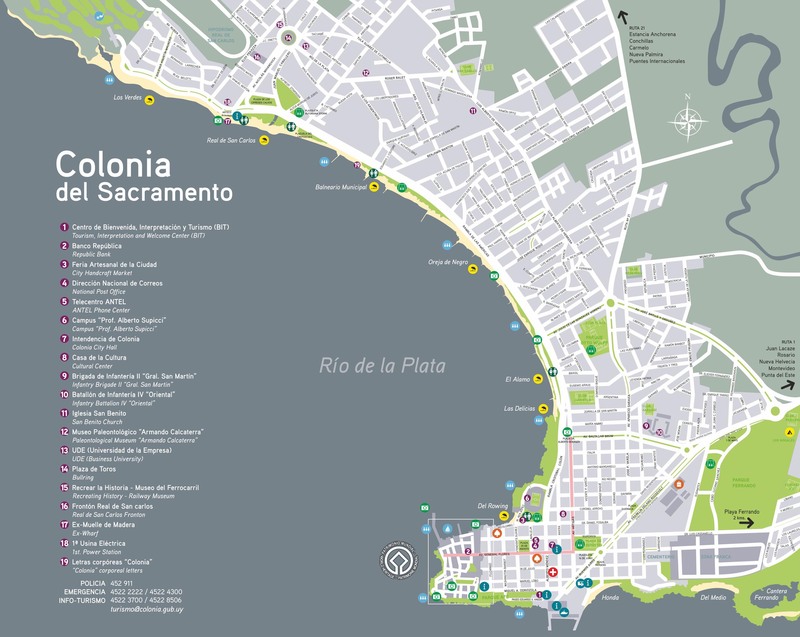 The selected space takes advantage of its location and symbolism in the City of Colonia del Sacramento. The Bastion del Carmen. Justification: The creative act is one of the most enigmatic processes that we can find because, part of it, ” appears ” as the result of innumerable moments that constitute our “I” along the time line. The communication of this process becomes important for the viability of the lighting design project. 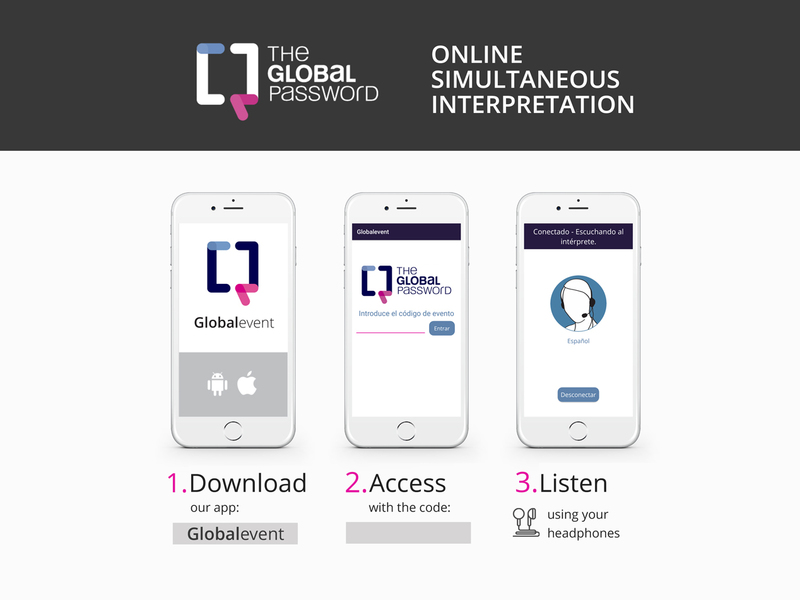 Creating a communicable language that can be understood by peers, work groups and end customers can be an inherent difficulty in that action. Test possibilities of communication and perception through possible catalytic elements for a new idea: an object, a word, an image, an association of ideas, an analogy, a phrase, a gesture. Thus, an infinity of stimuli can be identified that, because they are versatile, allow individual interpretation and, thus, the contributions of several agents. 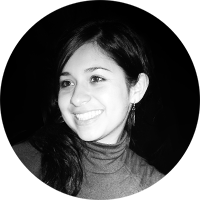 Fernanda Carvalho was trained as an urban architect and teacher by FAUUSP. She is vice president of ASBAI; ICOM member and member of the international committee of EILD. She works as an independent lighting designer in her own office, mainly dedicated to the area of museums and exhibitions, with awards and international mentions in projects of the area. Maria Joao Pinto Coelho, doctor in architecture of technology, specializing in urban and environmental lighting, has developed her work independently in her studio (lightmotif-architecture) mainly of lighting design projects of monuments and historic centers classified world heritage by UNESCO. At the same time, she has developed teaching methods and specific training in the area of specialty. She has also been guest professor of the M Sc Light & Lighting course at the Barlett School of Architecture since 2000. IALD professional member, president, founder and fellow member of Lab LD, editorial coordinator of PRISM magazine (A). International consultant for copyright issues of lighting design projects.